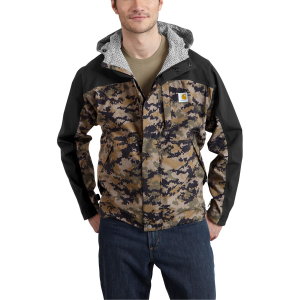 101740 Carhartt Men's Woodsville Jacket This reversible jacket is a hunter's dream with camo on one side that can be reversed to a blaze orange (or black). 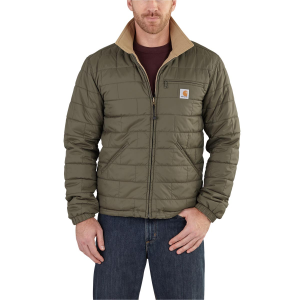 101570-C Carhartt Men's Shoreline Vapor Jacket - Discontinued Pricing This fully waterproof hooded jacket will keep you dry regardless of the weather outside. 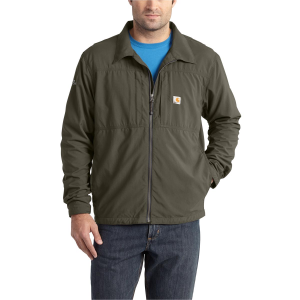 101980-C Carhartt Men's Full Swing Briscoe Jacket - Discontinued Pricing A jacket that can move with you, but is still as strong as Carhartt's traditional sandstone material.